Moving towards miniaturization Samsung is now going to introduce a Compact Memory Card which is processed with 20nm MLC NAND chips hence is faster than the previous 30nm technology. This next generation 20 nm flash card technology fulfils all the customer requirements for high performance and huge storage capacity with speedy NAND technology. The card is made compatible for smart phones, high computation and other IT based applications. 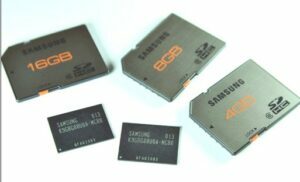 Samsung has introduced samples of these memory cards which are available in 32GB capacity for the customers. The expanded version of this memory cards will be available later this year.